Source's Daily Deal Event continues today with a new deal! 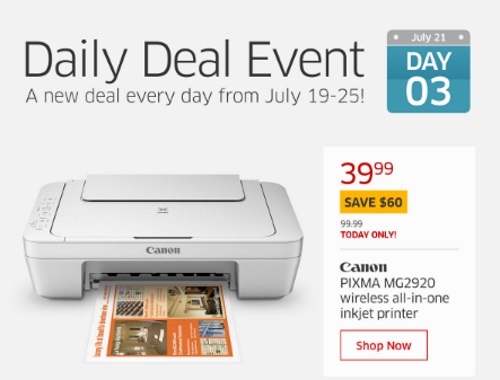 Get a Canon Pixa MG2920 wireless all-in-one inkjet printer for $39.99 (Save $60). This offer is available today only, while quantities last.